I could sense it in the audience. I was failing. I was trying to connect and somehow persuade them of the power of generosity. But I knew I was somehow missing the mark. I couldn’t reach the audience for one very simple reason: I couldn’t explain why generosity was important for them. 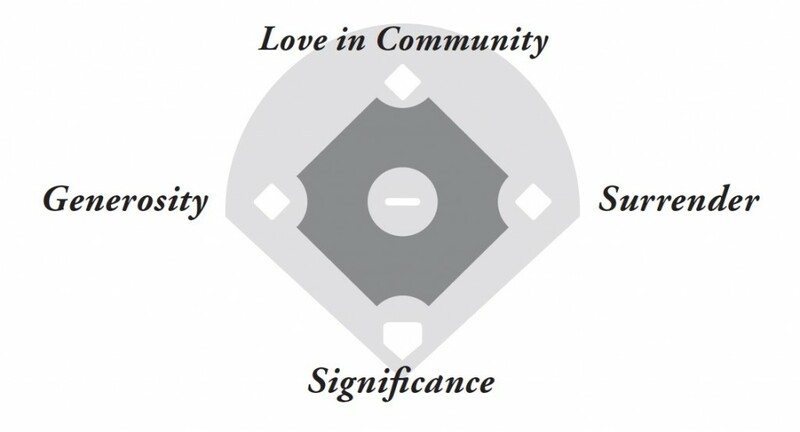 As I wrestled with these thoughts, I stumbled into a talk by Kevin Myers related to his book “Home Run: Learn God’s Game Plan for Life and Relationship.” Kevin talked about how everyone desires a life of significance. Using a baseball metaphor, he said that we run the bases the wrong way: we seek to achieve significance by chasing success at the cost of people and end up with no self-respect. And there was my breakthrough. A life of significance can be produced only by a generous life. Let me explain. Significance is at the core of every human soul. God placed it there. We realize we are temporary creatures who cannot control the number of days we have on this earth. However, we have an innate desire to be part of something lasting–the cause greater than ourselves. Yet, I only obtain significance by surrendering to Christ and realizing that only His work is complete and lasting. I begin to run the bases the right way when I surrender to His lordship–to take up my cross daily and follow Him. Second, when I surrender, I can love others in community. Jesus said that all people will know we are His disciples if we have love for one another (John 13:34-35). Third, great love is marked by great generosity. As I love others, I will necessarily find myself living generously with all that I am. And a life marked by surrender, love in community, and generosity is a life that will truly make a difference, a life that is significant. So why generosity? Why a life of generosity? The generous life is a life marked by surrender, love, and giving away your life. Some of that giving includes money, but many times it does not. The generous life is a life of joy. It’s a life of significance–a life of lasting impact. To learn from stories of others on their own journeys of generosity, purchase your copy of The Generosity Bet and browse the blog posts and categories in the upper left-hand column. The Right Way To Be Generous?